As you may have noticed, we’ve become a bit obsessed with Mexican cuisine, and have discovered that going on a culinary tour is one of the best ways to learn about the food that’s from the region, and have a guided tour of the city as well. 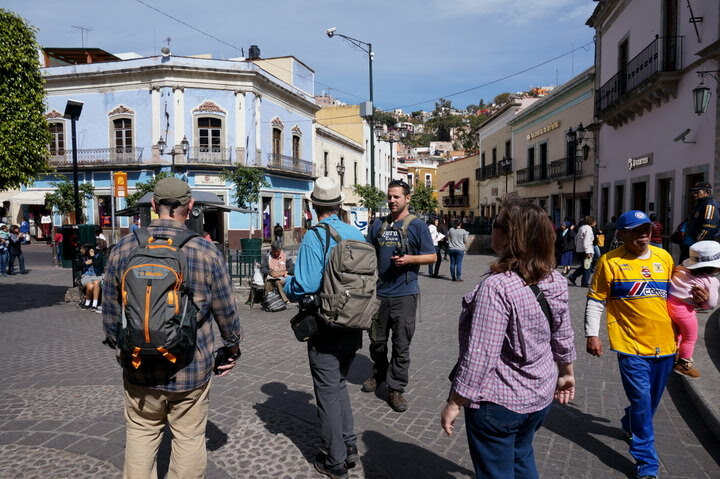 During our stay in Guanajuato (which wasn’t nearly long enough), we were fortunate enough to meet up with Tim Leffel. As well as being a published author, a travel writer and a legend in the travel blogging industry, Tim also finds time to run this food tour. 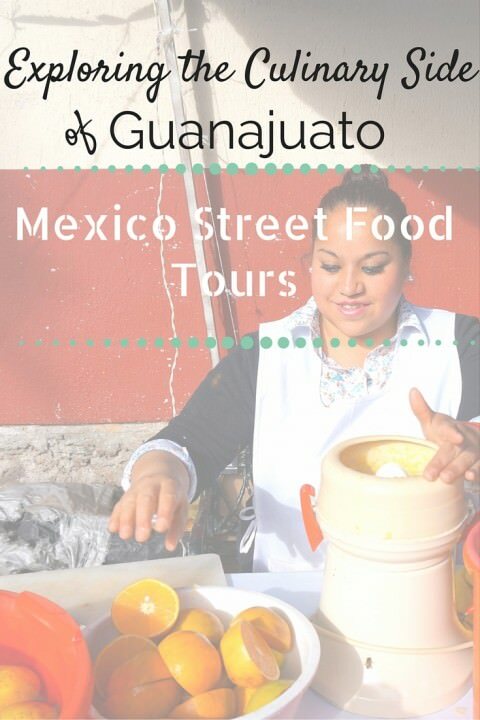 Mexico Street Food Tours aims to show you all of the top street food vendors, as well as provide you with details and information about the history of the city and the various sights. 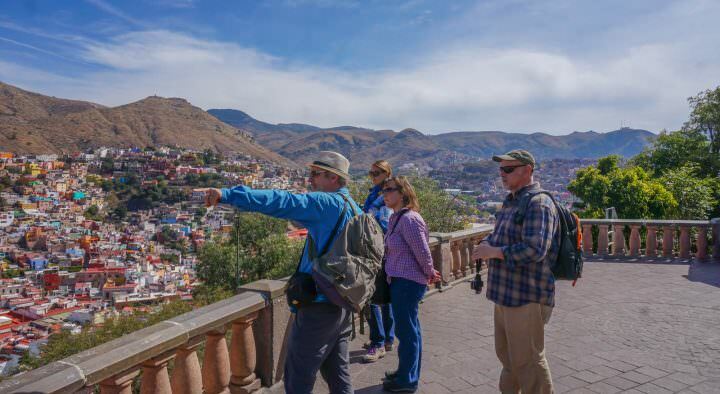 This tour is one of the best things to do in Guanajuato. Our group was four strong, plus Tim, which gave the tour an intimate feel. We all met in the park and set off to explore, and more importantly, eat. 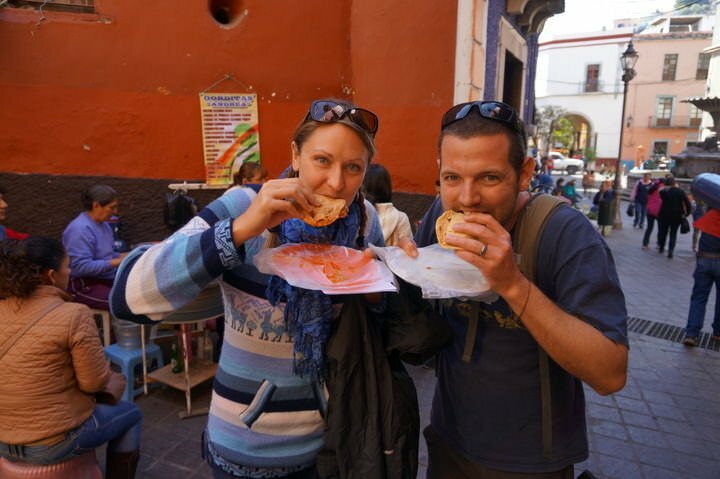 Guanajuato is one of the best places to visit in Mexico, and a food tour is a great way to see the city. As it was morning time, first up was some breakfast-type items. Tim led us into a popular bakery, with the most amazing smells wafting out of the back room. Upon investigation, we found three men baking fresh breads, buns and pastries. We were able to choose whatever we wanted to sample, and with a plethora of delights on offer, it was hard to pick. We opted for the concha roll, which is a round, fluffy bun covered in a sugary topping. This was something we’d often seen eaten by Mexicans during our 2 months in the country, but had yet to try. The verdict? They were delicious and we wish we had tried them sooner! The smells coming out of this bakery were incredible! 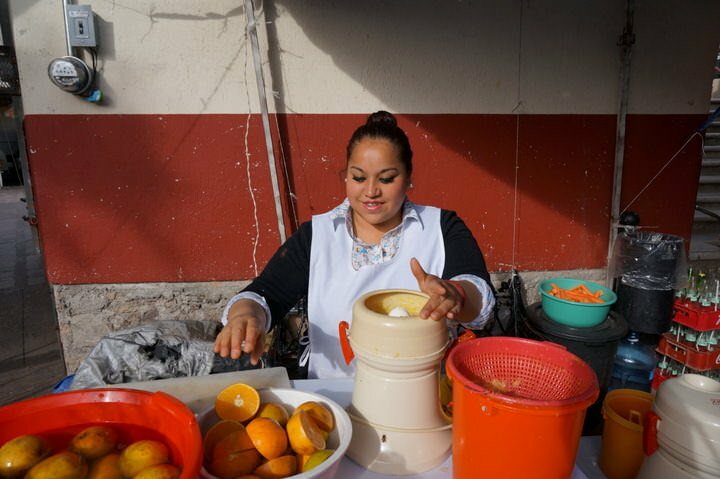 To wash the breakfast roll down, we stopped for some fresh juice from one of the local vendors near the Embajadores Market. A popular drink is called jugo verde, or, green juice. With healthy (and delicious) ingredients like celery, cactus, orange juice and parsley, this aptly named juice was the choice among the tour goers. As we wandered from the bakery to the juice stand to a local market, a huge smile crept across our faces. 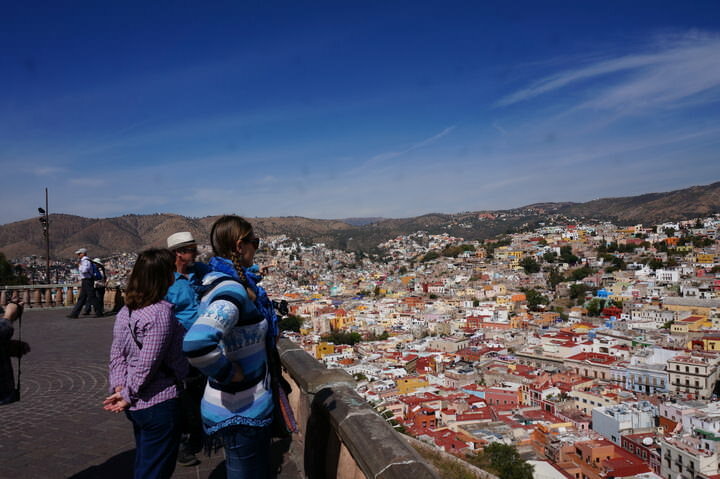 Guanajuato is a beautiful city and we were so glad we had decided to join this tour to get a good overview of the area and find the best street eats for our upcoming 6 day stay. We arrived at the lovely Baratillo Plaza, which was surrounded by a wide array of colourful buildings. In the center of the square was a large fountain, and at the entrance to an alleyway leading up the hill, were our next meals: tamales and gorditas! This Mexican favourite is made of cornmeal, which is sometimes stuffed with a seasoned meat or cheese, then wrapped in a corn husk and steamed until cooked. There are various kinds of tamales, four of which we tried on the tour, and all of which were very flavourful. Another street food classic, a gordita is a corn flour pocket stuffed with your choice of bbq’d, stewed or fried meat, and cheese. For the vegetarians out there, you can opt for beans, eggs, peppers or cactus instead. Once filled, the pocket is lightly fried on a flat top grill. 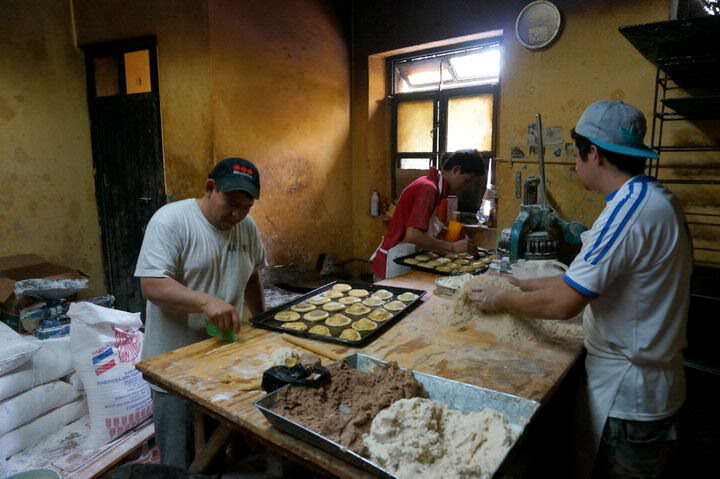 After sampling the bbq’d chicken and stewed pork gorditas on the tour, we came back 2 more times by ourselves! This was definitely the best spot in town. 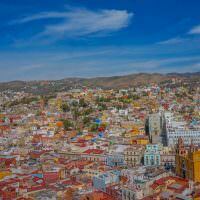 Guanajuato is a mountainous city, which provided much-needed exercise in between meals. We walked through small alleyways, down busy streets and even took the funicular (cable-car tram) up the hillside for spectacular vistas over the city. Things To Do in Puerto Vallarta – 20 Cool Things You Won’t Want to Miss! But, the views weren’t the best part. At the top, we indulged in sopes, which are typically made with a thick, corn tortilla as a base, and topped with cheese, meat and salsas. These sopes were more like a thin crust pizza and were the best ones we’ve tried to date. Topped with spicy chorizo, cheese and salsas, there were no complaints from any of us. The tour was unique in that Tim gave us free rein on what we wanted to sample. If we saw something that looked appetizing, we would stop and learn about what it was, and then were able to try the dish as well. This was a great perk of the tour and really allowed us to have some freedom. Apart from trying baked goods, juice, sopes, tamales and gorditas, we also sampled al pastor tacos, fresh ice cream, coffee from Veracruz, and pig intestine tacos – which Nick tried, but thought it reminded him of dog food. After an incredible day of sightseeing, visiting markets and eating our way around the city of Guanajuato, it was time to part ways with our new friends. We highly recommend this tour to anyone, but make sure to plan it for the first few days of your trip, so you can have an idea of where to eat for the duration of your stay. – Freedom to stop and sample anything you want. 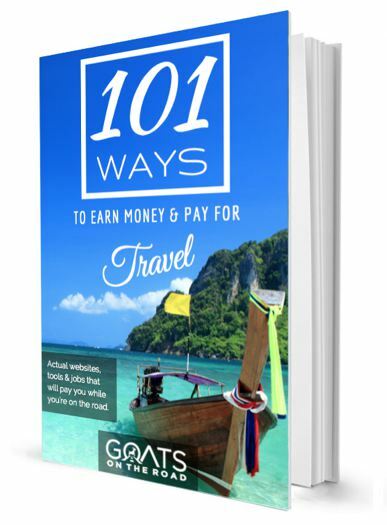 – Tim is a wealth of knowledge, but won’t bombard you with information – he talks just the right amount! – Full meals are given, not just samples. – Small sized tour groups. – There’s a wide variety of foods and drinks on offer. – You’ll learn a lot about Guanajuato. 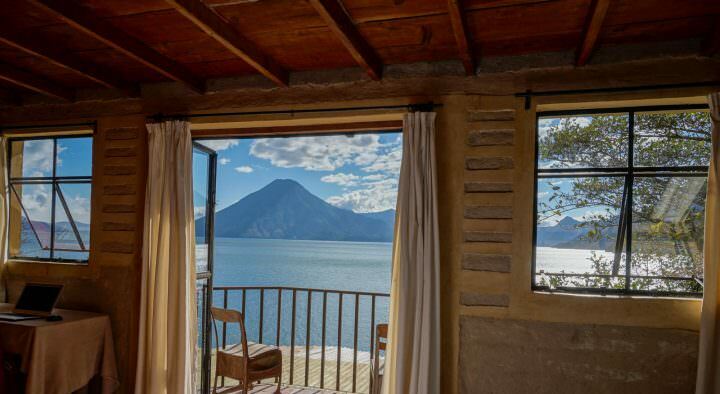 – The price is excellent at $33 USD / person, or less if more than 2 people join the tour. In all honesty, none! The food was very good, the portions were great, we learned a lot, we ate a lot and the guide was friendly and knowledgeable. What more could you ask for? Check it out online at Mexico Street Food Tours, or call: 473-113-2359 (Mexico) or 615-489-4761 (USA). For more about Tim Leffel, click here. Where in the world do you think has the best street food? Tell us below! A big thanks to Tim for showing us the best street stalls in the city. I think we gained 5 pounds after the food tour 🙂 As always, all thoughts and opinions regarding the tour remain our own. 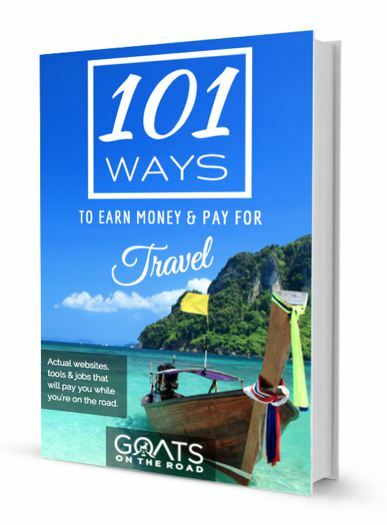 This food tour is much more than just eating! 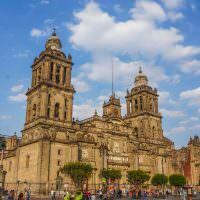 It’s an excellent introduction to Guanajuato and its amazing street food options. What a Great way to get to know a city ! And to experience the Many food options to enjoy during your stay ! to sample Or not – that is the Question ! You’ve given me some ideas of what to put on tortilla wraps or in pitas or quesadillas ! We’re glad we gave you some ideas! Cheers and thank you for the comment. Man oh man, those views! We spent a few months in Mexico but Guanajuato was the one that got away and we sadly didn’t make it there. Tour looks amazing, and will look it up when we eventually make it there, because it is probably our first stop when we go back to Mexico. Wow!! All that food indeed made me hungry! In that fresh fruits photo, are those mangoes in the tub? Would love to sample authentic Mexican cuisine someday! Wow, this looks great. I love trying new street food. Those gorditas are making my mouth water.